It happens across the board. It is a pervasive notion that seems to have been adopted with little to no research. It is somehow implicit in most English-learning environments, explicit in many course outlines and used as an evaluative tool in measuring the efficacy of language instructors. I have actually been refused employment because of my “renegade” attitude towards this ill-researched tenet of TESL. However, it stands in complete opposition to evidence-based educational research in second-language acquisition; not to mention a panoply of related motivational issues. We’ve all heard it, said it and even followed it. “Only speak English in my class!” I used to insist. “Hey, you guys in the back, no Spanish!” was another one. “Stop translating everything! Focus on English!” I used to believe, only to my students’ dismay of course. By doing this, we inadvertently omit how the brain works from our teaching and learning strategies. Sure, they get more practice time, but is it meaningful to them? Does it help them make insightful connections to what they already know? Does it help them to truly understand the cultural idioms and exponents of English? Does it motivate them to learn and provide “eureka” moments? I think not. “Papa, I said I wanted fruit, not cucumber!” she says. “Cucumber is fruit,” I reply with a grin, knowing what’s coming next. “But it’s not sweet,” she counters. And it’s done. Her concept of the word ‘fruit’ is forever changed. 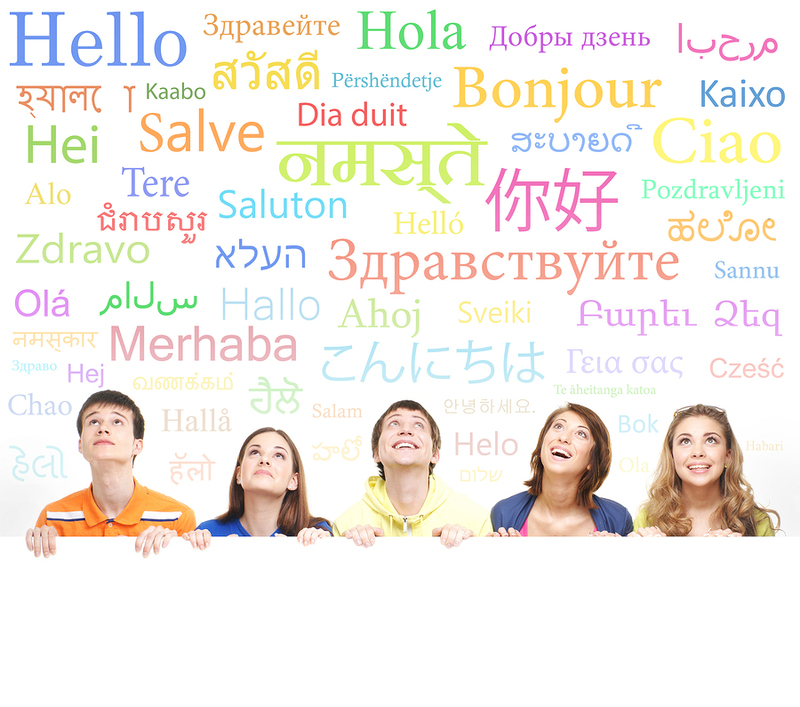 In ESL, Students begin class with prior knowledge of linguistic concepts as defined by their native language. French-speaking students will often make errors when trying to say, “Je mange mon diner”, in English. The French tense is “présent simple”. Many students jump directly into the present simple and say “I eat my dinner”. Of course, this is erroneous on many levels. The present simple in French can be used to express an immediate present action. In English, it implies a habit. Without challenging students to reflect on their linguistic “definitions”, we might go through an entire course without ever correcting the conceptual error. By challenging them to equate ideas between their native language and English, we come one step closer to more deeply activating the mind and overhauling their perception. This leads to deep, life-long change in ability. Everyone likes to talk about themselves: their experience, culture, knowledge and beliefs. By including these in our instructional strategies, we elicit their attention, engender mutual respect and place the students’ experiences at the centre of the learning process. One of the best ways I have used in getting students to understand grammatical forms was to have them first detail all tenses in their native language in terms of conjugation and “use/meaning”. Thereafter, I have them “connect” their native language tense “meaning” to those of English. By doing so, the French-speaking student then clearly understands that “Je mange mon diner” is actually the present progressive in English, or “I am eating my lunch”. This simple strategy teaches them a critical notion that they cannot simply cut and paste French tenses onto English, and provides them with a more evaluative and effective learning strategy. This is not to support the constant use of other languages, nor should students chat in their native languages during class time. Yes, they must speak English as much as possible. However, we should never eradicate their prior-knowledge from the learning process. Have you used a plurilinguistic approach to enhance learning in your classes? I finished my university in Ukraine, and then I decided to move to UK and try to enter to another university. I thought that this country had the best educational system. First of all it was difficult for me to get used to the educational system and for the huge workload. There was a big difference between our educational systems. Another problem was “use only English”. My English was bad so I tried to solve this problem even with a help of custom essay. Then I adopted to system I tried to improve my level writing an articles by my own. Thanks for the comment Cheryl! Yes, I think it is much more beneficial to you to write your own essays, even if the process is difficult. True, as a non-native English speaker/writer, scoring a good grade in university is dependent both on the content of your essay as well as its syntax and adherence to convention. By hiring a custom essay writing company, you may score the grade, but your English won’t improve. It is sad though, that you were not offered more support or help as a non-native student in improving your English writing. I agree. As a child I grew up speaking low German and started grade school with little English. I was not allowed to ask my classmates to interpret for me when I didn’t understand. But I did anyway, but I had to do it when the teacher didn’t see me ask them. Now I teach in a LINC program (level 2), and I refuse to say “English only,” although I encourage them to use English in class as much as possible. Thanks for the comment Luella. I am glad you incorporate a “plura-linguistic” approach to your LINC classes. It only makes sense to include your students’ perspectives and culturally-influenced manners of communicating in a “newcomers” course. As was done to you in grade school, harm is done when we prohibit student culture, prior-knowledge and point of view from our classes. Moreover, how can newcomers truly learn Canadian culture and English without comparing/contrasting it to their own? Thank you for writing on this topic, Greg. A rather common practice is to ask students to drop a coin in a jar when they use their first language. I find this practice to be potentially damaging, especially when English is learned for settlement purposes. As we already know, language and identity are interwoven, and financially punishing students for reverting to their well defined and “safe” self has a lot of negative implications. Having said this, use of first language should be kept to a minimum and there should be a good reason for allowing it, I agree. Right, and there are always students who don’t have coins on them, even if they don’t mind being financially penalized. That kind of strategy rarely works out. Also, instead of penalizing, we should be encouraging. if students are getting away with chatting in their native languages during class time, the question becomes more about the teacher’s efficacy. Thanks for sharing your post, Greg. I feel very uncomfortable when I hear teachers tell their students, “English Only!” for all the reasons you mentioned above. It’s very important to build on their “funds of knowledge”. Instead, I find a better way to encourage students to speak in the target language is to set a goal together as a class. For example, after we’ve practiced the language needed to do a task, we set a goal, “For the next 15 minutes while we’re completing this task, we plan to speak English”. That’s great Jennifer! The point of any ESL class is to develop English language ability. There is really no better way to do this than to stay on task, much like you have suggested. However, the use of other languages does not necessarily mean that they are “off-task”. In fact, one of the most effective evaluative exercises an ESL student can do is to compare and contrast the modes of English, syntax and tense use with their own native-languages. You have to be careful with this though, because perception is often more important than the truth. As I mentioned in the blog post, I was turned down extra contracts because I used a plura-linguistic approach in one of my courses. Even though students greatly improved their English, one student complained about the “other” languages being used in class and the administrator was appalled. Of course, this administrator had never taught an ESL class before, nor had they ever taught to begin with. Still, student and administrator opinion were stronger than my pedagogical expertise in this case. While a pluralinguistic approach is very effective if done well, many schools will hesitate in applying it since it is contrary to the current DNA of ESL Education. This is one of the primary reasons that I wrote this post. Hopefully, there are some administrators who have read it and are now ruminating on its benefits.